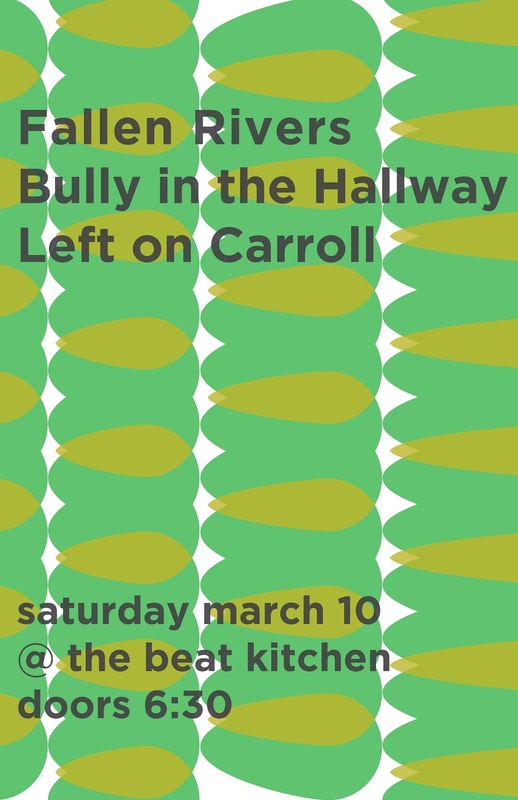 BULLY IN THE HALLWAY: Show Saturday at Beat Kitchen - early Show! 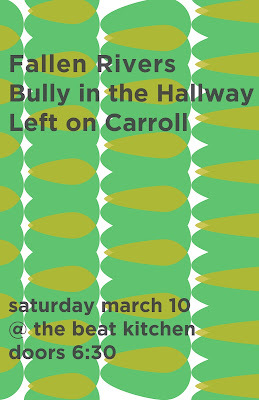 Show Saturday at Beat Kitchen - early Show! We've been meaning to say... we miss you! And want to see your beautiful selves at our show Saturday at the Beat Kitchen (http://www.facebook.com/events/355970781094941/). It's an early show, so get there at 6pm (starts at 630) and have your 5th beer of the day with us.